Outdoor Graphic Banner that you can promote your business anywhere! 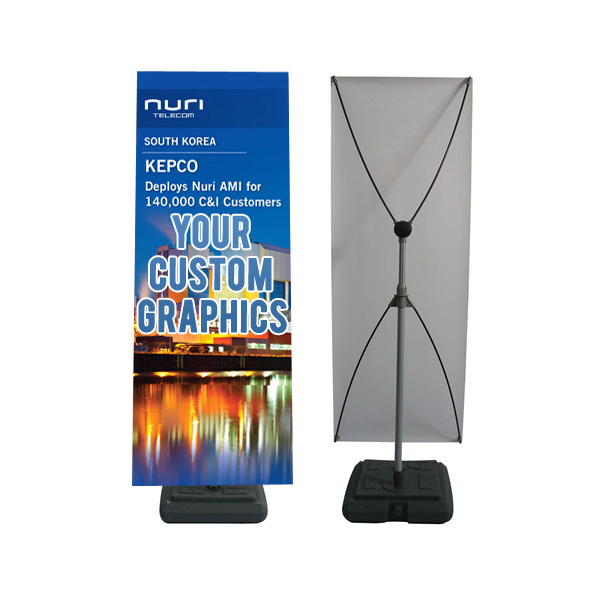 Promo Pop Up Tradeshow Display; Promo Retractable Banner; Promo Banner. This banner is great for outdoor events because it can display anything you want on it. Also because of its size and how colorful it may be, it can be seen from a great distance. This banner is designable so you can but anything you would like on it. You may want to put your company’s logo, a product, or your child’s birthday celebration design. It is big and colorful so you will have no problem getting your message out to the public. This product if used for business purposes will attract more people to your business and give you more business.